Pre-Inked Custom Stamp - Impression Dimensions: 11/16" x 1-15/16". Great for return address, or as a message stamp. 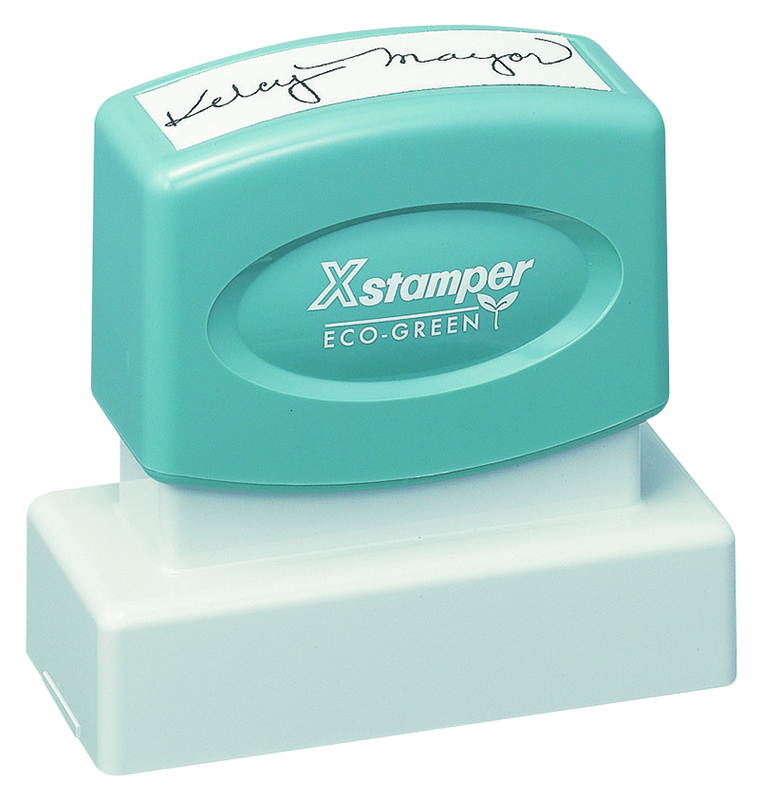 The laser engraved rubber makes this stamp strong and durable for years of use. Makes approximately 50,000 impressions before re-inking is needed. Use Xstamper Refill Ink only.